The shadow and the reality in the book of Hebrews, i.e. the contrast between the old and new covenants. Traditional Chinese script, translated by mimaigongfang.com. PDF version (316 KB). 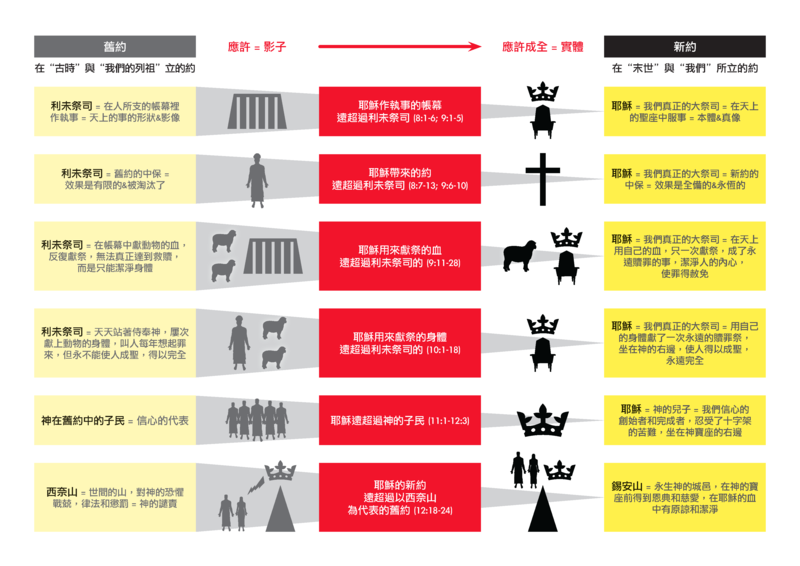 This entry was posted in Chinese and tagged Biblical Theology, Hebrews, New Testament, overview. Bookmark the permalink.